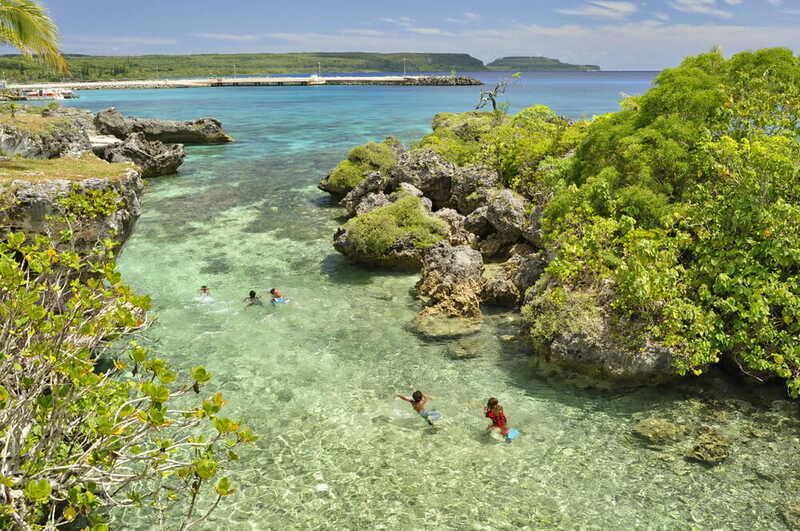 New Caledonia is fantastic for families. French cheese – tick. Stunning beaches – tick. Snorkelling? Tick. Kids Clubs? Of course. 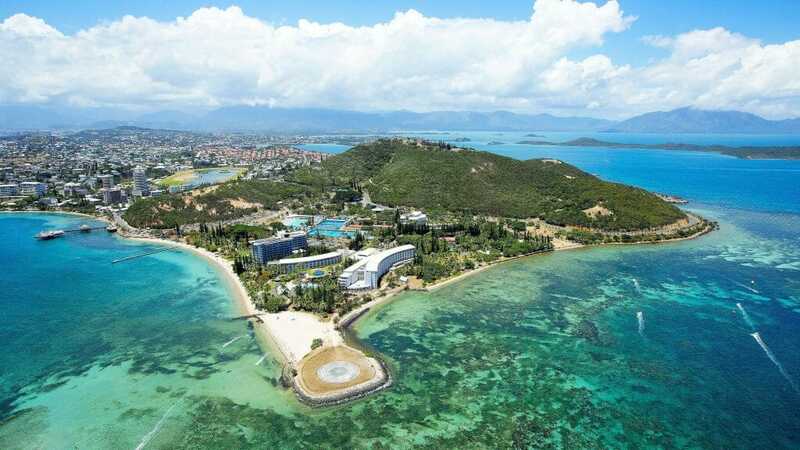 New Caledonia family hotels really have gone under the radar. Until now. 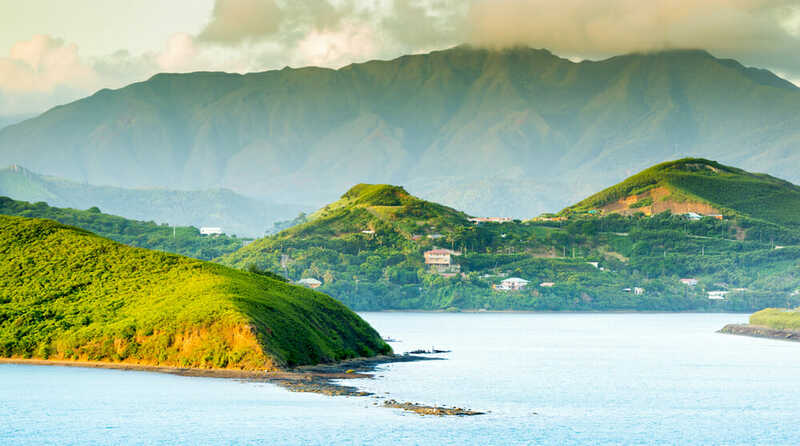 Australian families tend to pick Fiji and Vanuatu for their family holidays. But we’re here to tell you that you’ve been missing out. New Caledonia is closer to Australia than Fiji or Vanuatu. It’s jam-packed with family-friendly hotels. It’s tropical and warm. And you can do as much or as little as you like. New Caledonia has international and local brand hotels. It has Bed and Breakfasts (called ‘gite’) and homestays. It even has camping. Whatever your budget, New Caledonia has accommodation to fit it. 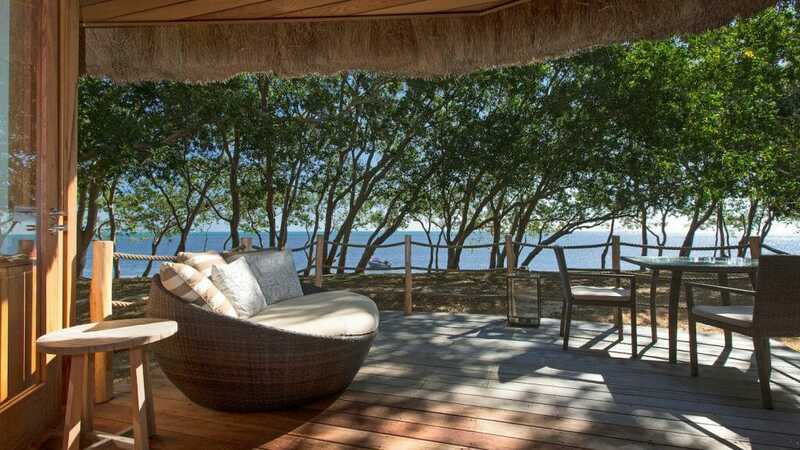 These are the best New Caledonia family hotels. 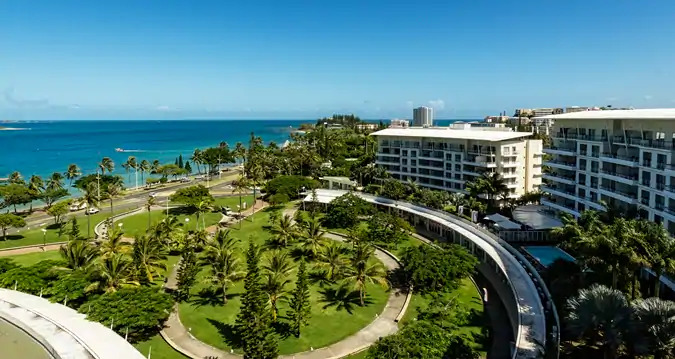 Le Meridien Noumea, Chateau Royal Beach Resort & Spa – Le Meridien and Chateau Royal have loads of options for families, including pools, kids clubs and activities. You will often see these hotels packaged into deals. They make a great stop and flop holiday. 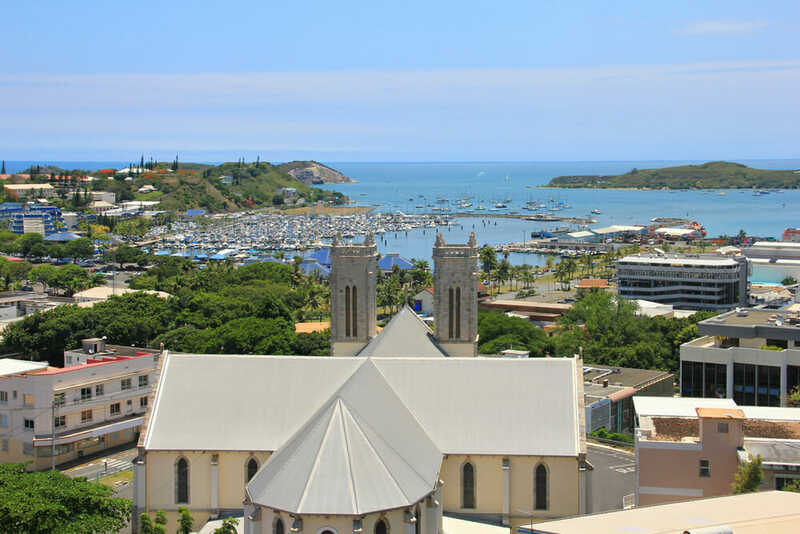 Hilton Noumea La Promenade Residences, Casa del Sole Apartments – These properties offer self-catering apartments. Families who want to stay longer or who want to enjoy meals at home should book these hotels. The local supermarkets really do have delicious produce on offer. Nouvata, Hotel Le Lagon Noumea, Hotel Beaurivage – These cost-effective hotels are 10-15 minutes walk from Anse Vata Beach. The beach is safe and gentle for kids. The hotels are also close to all the main attractions such as the aquarium. 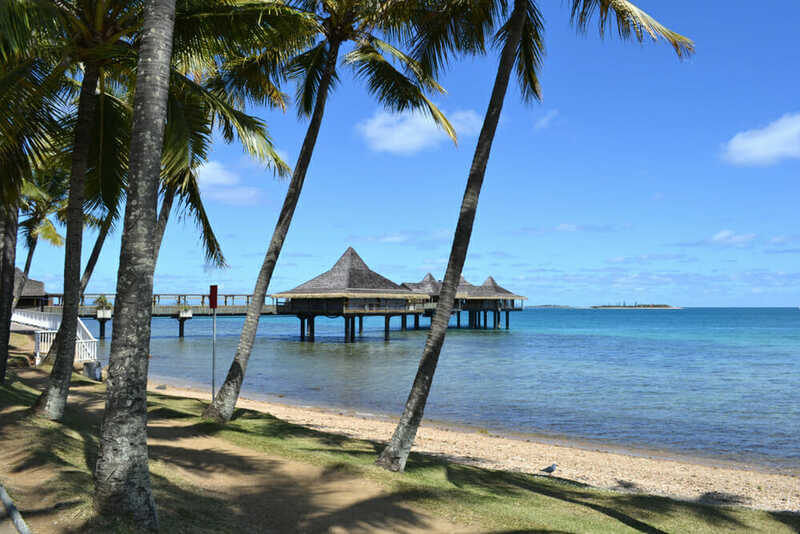 Sheraton Deva New Caledonia Golf Res & Spa – This resort has loads of activities for families. Relax in the pool. Play petanque. Go snorkelling. Or let the kids meet new friends at the Kids Club. Auberge du Pecheur – Gite – The ‘auberge’ is a natural campground. Accommodation consists of a series of bungalows with kitchenettes. It’s a spot often visited by local families. 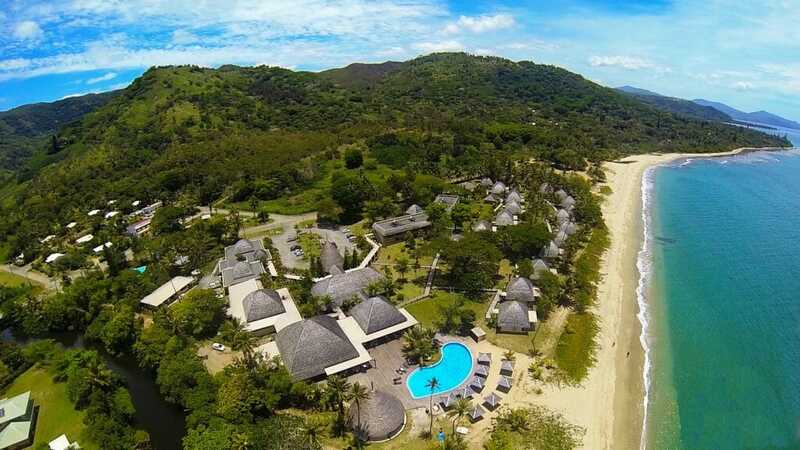 You can find a sandy beach, dry forest, hiking in the hills and a coconut plantation close-by. 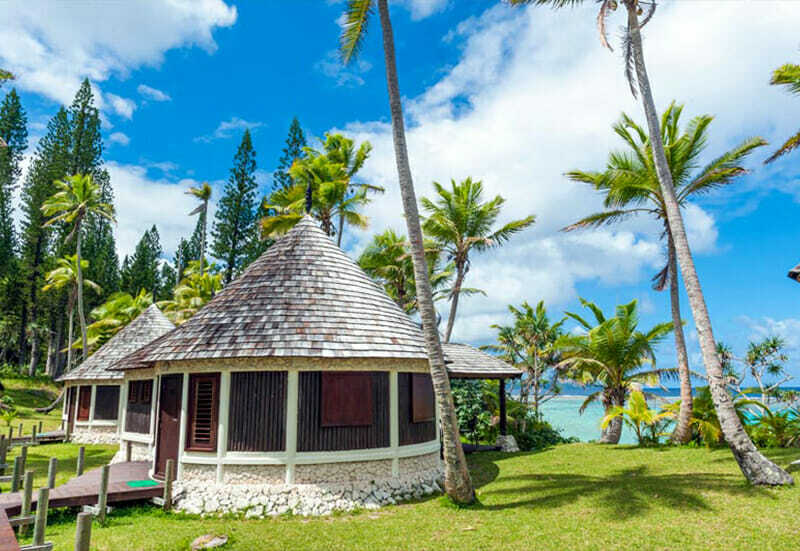 Le Meridien Isle of Pines – Le Meridien has family-friendly rooms, a pool and free cultural activities such as weaving and cooking. And just look at the view.. This is real. This is Le Meridien Isle of Pines. Picture: Le Meridien. Relais de Kuberka (Isle of Pines) – This cost-effective hotel has a mix of rooms and bungalows and a family atmosphere. Hotel Tiéti (North Province) – Stay beachfront at Hotel Tieti. This hotel has a pool, a massage service and fantastic food. Hotel le Passiflore (North Province) – This charming little hotel in the centre of Koumac village has a pool and restaurant. 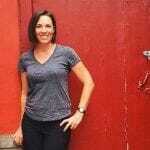 .Expect a welcoming team and a family atmosphere. 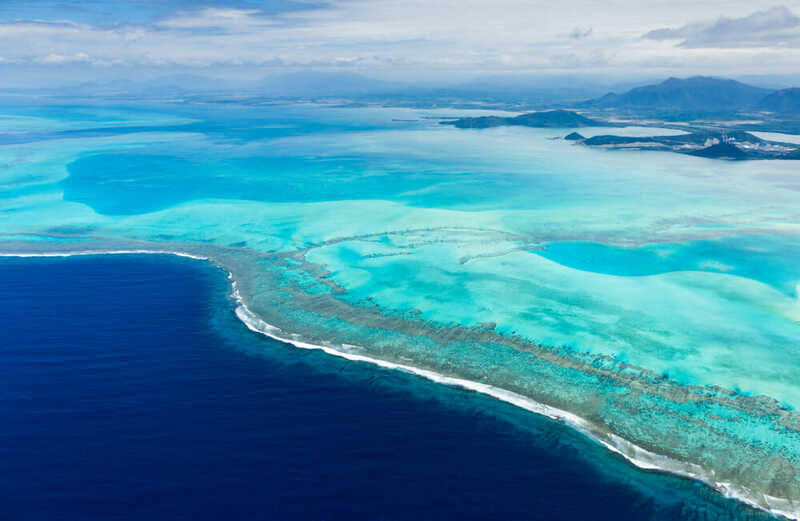 Beauvoisin (Loyalty Islands) – Stay with a Kanak family! Marc and his family welcome guests for an in-depth experience of local island life. Nengone Village Hotel (Loyalty Islands) – Nengone has beachfront access and a great swimming pool. Guests can enjoy a multitude of activities such as snorkelling, canoeing and petanguq. The hotel also has bikes for hire and island tours. Koulnoué Village (East Coast) – Koulnoue is set in a beautiful coconut grove by the sea, 10kms out of Hienghene. This hotel is perfect for exploring the East Coast’s natural environment and local cultures. The main language in New Caledonia is French. 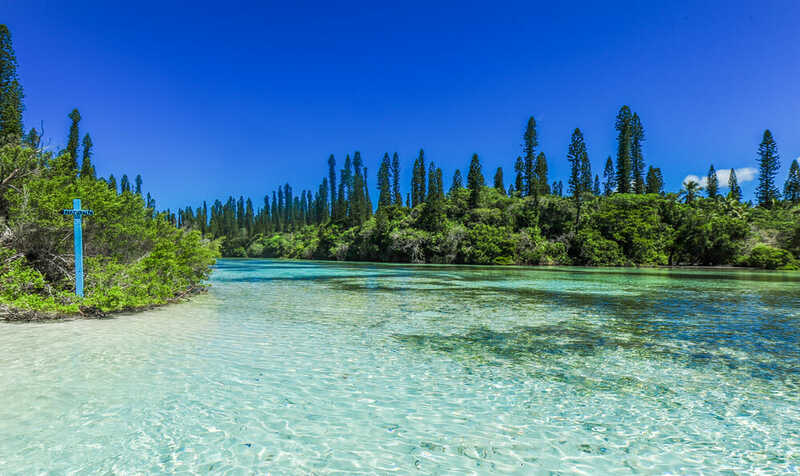 New Caledonia also has 28 Kanak languages and 11 dialects. English is widely spoken in the touristic areas (Noumea, the West Coast, the Isle of Pines). In the East Coast, North Province and Loyalty Islands – you may find there may be a little less English spoken. But, a simple bonjour or merci and a friendly smile can go a long way! Don’t be afraid. New Caledonia is currently special collectivity of France. In November this year, New Caledonians will vote in a referendum for full independence. Even if they vote to leave, New Caledonia will always have an unmistakable French influence and history. France took possession of the islands in 1853, under orders from Napolean III. New Caledonia became a penal colony, like Australia. Convict transportations continued until 1897. The colonisers excluded the indigenous Kanak population from the economy, sparking violent confrontations. The Conseil General of New Caledonia voted unanimously to support the Free French Government and expel the pro-Vicy governor after the fall of France in 1940. In 1946 New Caledonia became an overseas territory of France. All New Caledonians, no matter what ethnicity, were granted French citizenship. Under the Noumea Accord, signed in May 1998, New Caledonia had 20 years to transfer power to the local government. Those 20 years are up in 2018. New Caledonia has family accommodation for all budgets. If you book self-catering apartments, you can shop for food at a supermarket or bakery and prepare meals at home. New Caledonia has a tasty array of French cheeses on the supermarket shelves! You can also eat at ‘table d’hotes’ or ‘host’s table’, where local families cook food for guests. This is a great way to meet locals. Air Calin flies from Australia to Noumea. It takes just 2 hours and 40 minutes to get to paradise. 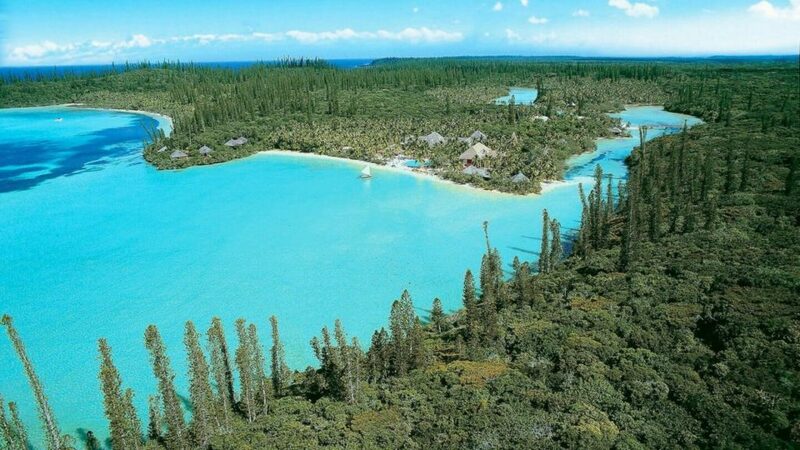 Once there, you will find New Caledonia is highly accessible, no matter your mode of transport. Families can book shuttle buses to travel from the airport into Nouméa. Hotels can arrange transport to cultural spots such as the Tjibaou Cultural Centre. Or you can jump on a bus. Buy a ticket on board and you can ride all the way to Answ Vata and Lemon Bay through the city centre. If you’re planning to spend some time in Nouméa before heading out to say the West Coast, why not grab a hire car? You can pick one up at the airport or in the city centre (or further up the West Coast too, if you prefer). New Caledonia has developed roads, and getting around is quite easy. You may have difficulty finding parking along busy Lemon and Anse Vata Bays. Check if your hotel has parking if staying in this area. Uber is not available in New Caledonia. Pickme.nc is the local answer. Download the app on your phone and go. Do note that the service is new. Pickme has a limited numbers of drivers at the moment, so you may have a wait time for a car.